“Take the plunge!” they shout. I leapt, expecting the water to cradle me in fluid arms. I didn’t know how cruel mother ocean was. She shattered my bones and sucked me down deep, where cold blue crushed me like a thousand anvils, binding me to a rocky grave where I must watch the weak fall prey to the cunning—an eternal reminder of my own folly. A box jellyfish twines luminescent tentacles around a shrimp, sucking it into a gelatinous gut. The jelly is clear; I watch acidic venom slowly digest shrimp in the same way the sea is digesting me. Ooh, I love this! Great descriptions and metaphor! A fantasy, yet I got the feeling that “I am here, watching.” Good job, Sara. 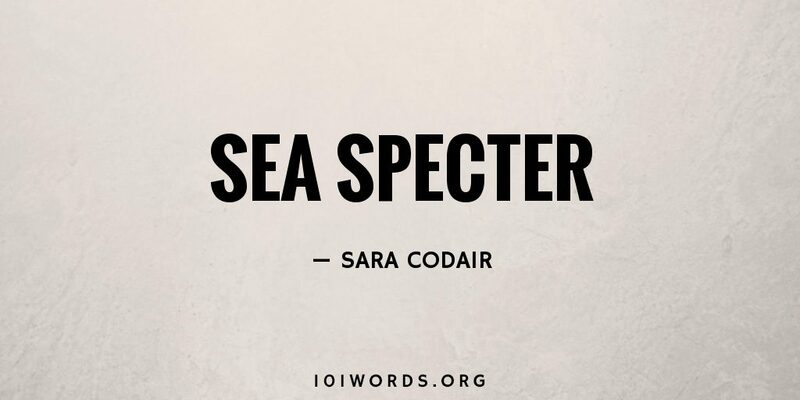 Perfect choice of words… Clear and cold and frightening, like the “mother sea” herself… Thanks, Sara! Thank you for all the kind words! I really enjoyed this piece Sara, It was very vivid and I loved the line with the anvils. Loved your description. The imagery was so vivid, I found it unsettling. Well done. loved the rich description. I personally think finishing with that literal closer (“…the same way the sea is digesting me.”) was un-needed and detracted from the nebulous image-story you’d created. let the reader figure it out? I loved this story, and the ending.